Let’s face it, Wallaby rugby is up Ship Creek without a paddle, but there’s light at the end of the misery tunnel with the appointment of Scott Johnson as the director of rugby. The 56-year-old won’t be waving a magic wand, he’ll be the catalyst with head coach Michael Cheika, and a third selector yet to be named, which must be Rod Macqueen. And before the naysayers start chirping, Macqueen has been out of mainstream rugby for seven years. Now, the game is different, but the rugby basics of pass, catch, support, tackle, and retain possession will never change. It’s the basics that are currently missing, making Johnson-Cheika-Macqueen the perfect combination, with a lot in common, to get the Wallabies back on track. Johnson’s Shute Shield rugby kicked off as a flyhalf-centre with Parramatta and Eastwood, Cheika as a flanker with Randwick, and Macqueen as a flanker with Warringah. All three represented NSW, but not the Wallabies, yet all three became international coaches. But all three have vastly different natures. Cheika is the loose cannon with a short fuse, Johnson is middle of the road, while Macqueen has an even keel, but is a strong communicator. And for the knockers who believe Cheika won’t be able to cope with losing his ultimate power, having to answer to Johnson his boss, and sit around the selection table with Johnson, and Macqueen, having their say – think again. There’s no vacuum in the 16cms between Cheika’s ears. He’s a very intelligent man. Sure he’s made some stunning left-field selections, and sent his Wallabies out with some odd tactics, but those days are gone under this new set-up. Three qualified international coaches will now dictate every move the Wallabies make to the 80th minute of the Rugby World Cup final in Japan on November 2. Can the Wallabies make the decider? They have far more chance now than they had with just Cheika calling all the shots. 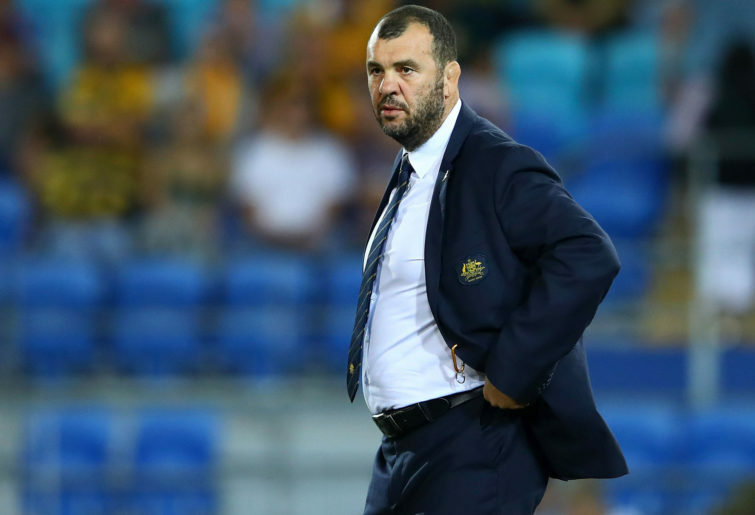 In fact it won’t surprise if Cheika actually enjoys the input of two colleagues who have been through the international head coaching mill, as against his current assistants who haven’t. It can be a lonely job, but spreading the responsibilities can, and should, be a relief. Months ago, Cheika made the statement if the Wallabies don’t improve on their 2015 Rugby World Cup result, he was on his bike. That translates to lifting the Webb Ellis Trophy in Tokyo, or else. Seeing the Wallabies most likely have to beat Ireland in the semis, and the All Blacks in the final, the Wallabies could be looking for a new coach come November. Rugby Australia at long last made a positive move in appointing Johnson to a newly-created position, move now on Kiwi Warren Gatland who will end 12 productive years as Wales’ head coach after the Tokyo decider. Then Scott Johnson, Rod Macqueen, and Warren Gatland can take the Wallabies to the 2023 Rugby World Cup in France, where the new breed will have the rugby basics as second nature.